Time for the third and final installment of this series and today we are focusing on gifts for anyone under $100. Budget-friendly is my favorite word combo so this one was fun for me. Also, be sure to check out as many other posts as possible because this is the time to knock off your entire Christmas buying list people! Have fun with it- and can you believe it is December and OFFICIALLY the most wonderful time of the year?! Whew! Ummm these are fabulous....I'll take one of each, okay?!!? Especially those votives, so pretty! Oh i love the rubs!! What a great gift idea!! Visiting your blog from the Holiday Link Up. Your blog is adorable and I look forward to reading more!! 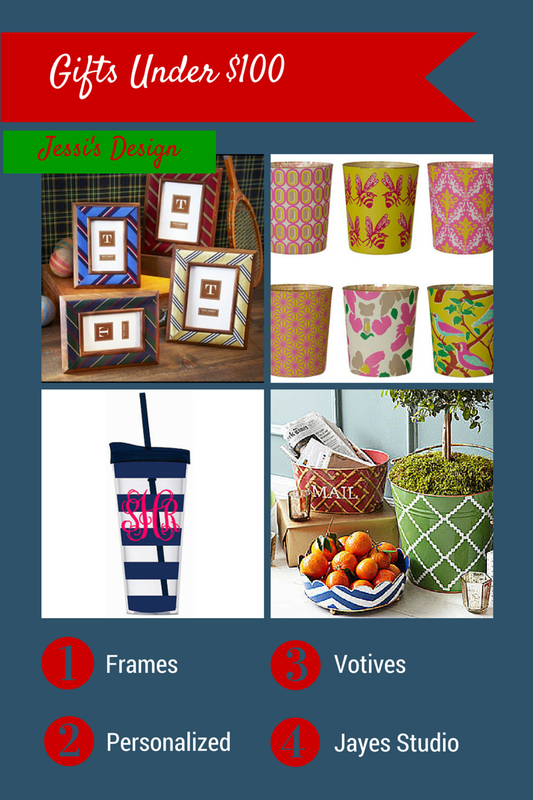 Great list and I love anything monogrammed!! Genius idea with frames - it's a gift that really is one I hate buying for myself LOL! I'll take one of each, too!! Steak rubs? Yum...I am drooling, and it's only 10:30 am! Those steak rubs are brilliant...the husband is going to LOVE me for that one! THANK YOU! Those streak rubs look like an excellent gift for the guys! And you can't go wrong with candles either! Jayes Studio is such a great source for gifts. Love those votives, too! Cute roundup! How cute are those little votives?! the rubs are a great idea! Such cute ideas! love love love! Oooh steak rubs! SUCH a good idea - my husband would love that!! Oh yes to gift cards!! I love picture frames (with a photo inside!). Gift cards are always fun too, and if you don't like what you get you can sell it for cash on cardpool.com (it's genius!). I love personalized gifts! And I'm definitely all about the gift cards this year. 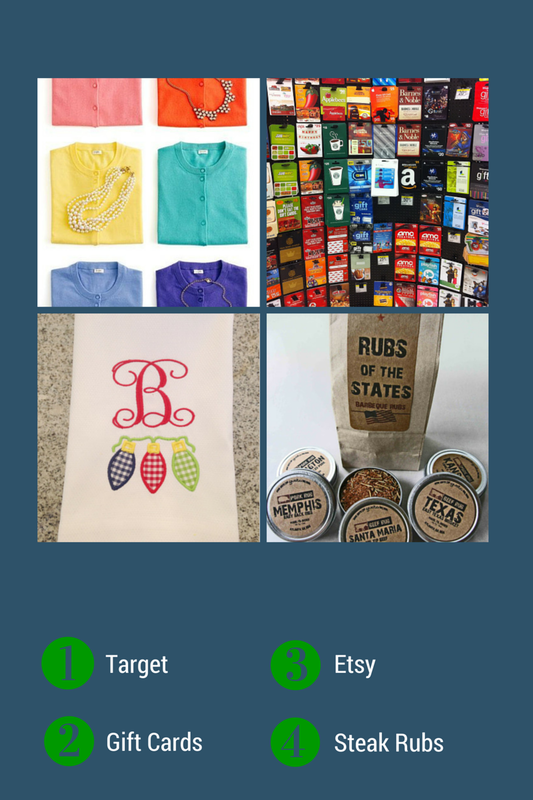 Did you know they make etsy gift cards too?! Steak rubs is a fantastic idea for men that I would've never thought of. And that monogrammed tumbler is super cute! 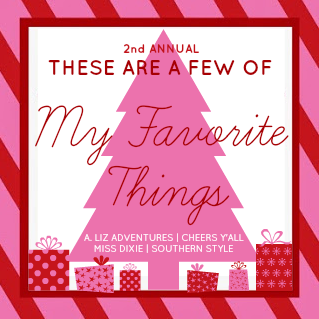 I love all these gift guides! I am about half way through my shopping, but I still love seeing some fresh ideas! You always come up with the best ideas! Love it all! Awesome picks! Those rubs would make a great "man" gift!